Solutions and strategies to grow your online store through inbound. Now live in HubSpot is a new, HubSpot built, integration with Shopify. "What got us here, won't take us where we want to go.” This is something we often hear from online retailers and it’s why we’re bringing inbound to ecommerce. This page will introduce you to new tools and tactics that bring inbound to your marketing mix and re-energize your growth. Adding inbound to your powerful direct response marketing will help you rank in organic search, establish your brand, and grow your social reach. It’s time buyers know exactly what you stand for. Over 95% of website visitors don't buy anything on their first visit. Use HubSpot to create optimized product pages, landing pages for ads, and emails that deliver a more customized online shopping experience for your audience. Use your buyer's purchase and website behavior to personalize customer marketing, email campaigns, and webpages for abandoned cart nurturing, upsell campaigns, and more. Get a view of your entire funnel by tracking customers from their first site visit to their latest purchase. HubSpot for ecomm provides direct attribution reporting between marketing efforts and digital dollars spent. 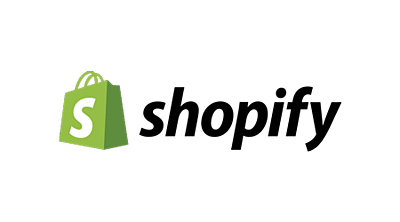 HubSpot customers now have a new, HubSpot built integration with ecommerce leader Shopify. When connected you can easily use your online store data to inform every part of your sales and marketing strategy. For teams that aren’t on Shopify we have Ecomm Bridge. This set of API’s was built specifically for ecommerce and gives technical teams an official and streamlined way to connect any store to HubSpot. To access bridge review the API docs at our developers site. Automatically sync customer and order data from Shopify or Bigcommerce into your HubSpot account. Connect Magento and HubSpot to increase online sales from new customers and increase repeat sales from existing customers. Unific (formerly Revenue Conduit) provides reliable, fast, easy-to-use, and deep ecommerce integrations for HubSpot. Start with a free-forever account, connect your Magento 2, Magento 1, Shopify, Bigcommerce, or WooCommerce store to HubSpot and experience how Unific will help you grow while saving you time. How does inbound work for ecomm? We love the ability to set up campaigns and triggers based off of customer behaviors. We've seen a lot of success with targeting to these customers and making sure we are sending the right message at the right time. We were flying blind with only basic marketing data, and we needed a better way to measure the impact of marketing activities on generating sales. 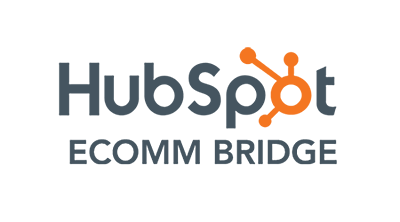 HubSpot has helped us acquire customers more quickly, more cheaply, and more efficiently. HubSpot has allowed us to differentiate ourselves from our much-larger and more resourced competitors. Our competitors don't have focused strategies centered on the topics that consumers are looking for. We do that, and the benefits have been significant. Start generating more revenue from your current customers. 32 Ecommerce Conversion Mistakes to Avoid. Fix these common mistakes to increase your conversion rates (and revenue).